Stand up paddle boarding is an exciting sport. It is fun, a good workout alternative and easy to learn. So, if you are trying to master how to go about the game, here are useful tips. 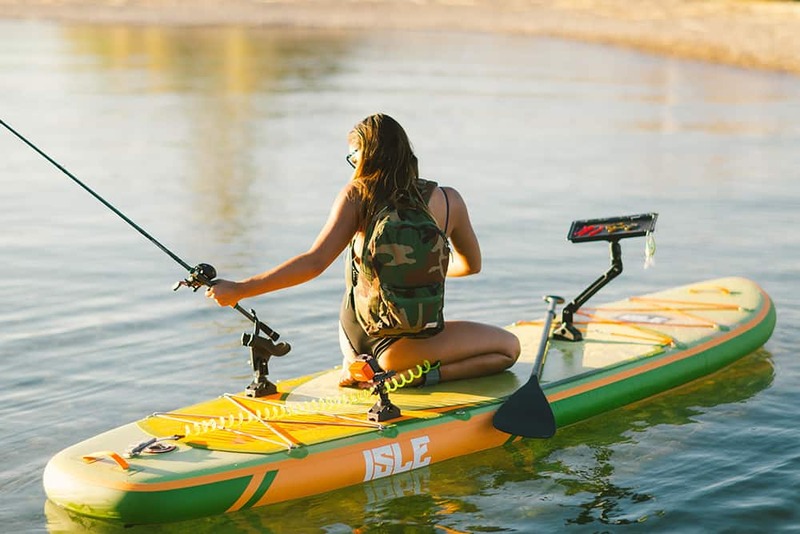 In this article, we’ll take you through what you need to consider before buying your paddle board. 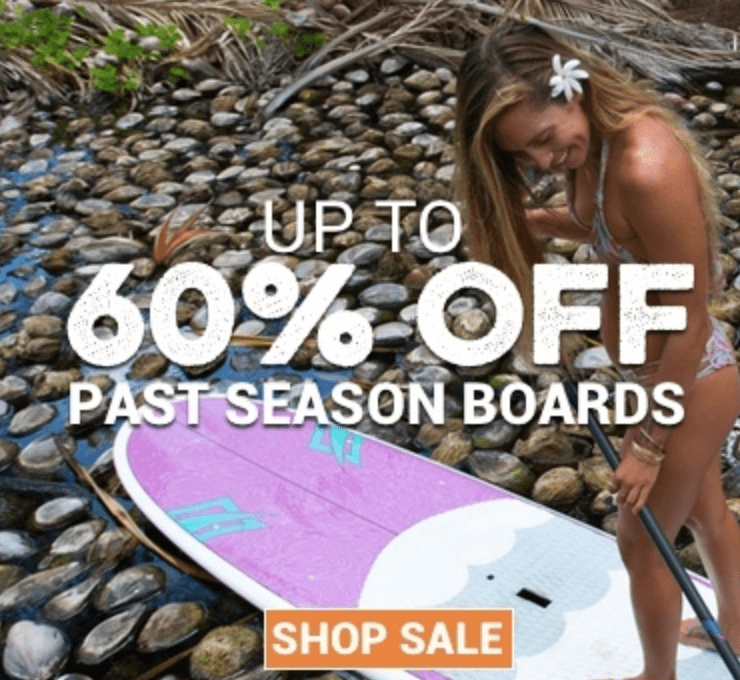 We have also compiled some reviews on different paddle boards to help you make the best buying decision. 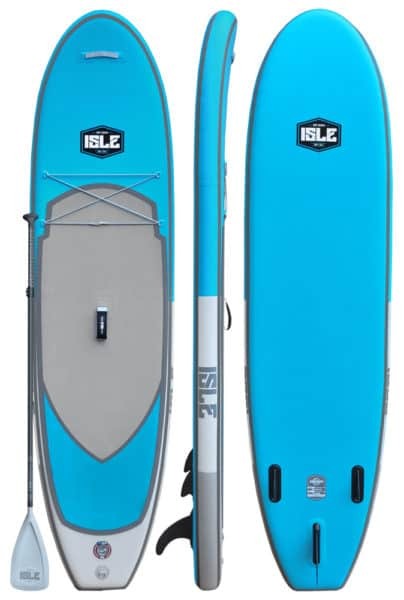 But first, what Should you consider before buying an Isle SUP? There are various kinds of stand-up paddleboards in the market. All round SUPS are suitable for beginner paddlers. These paddle boards suit all weather conditions and are the most common type of paddle boards. 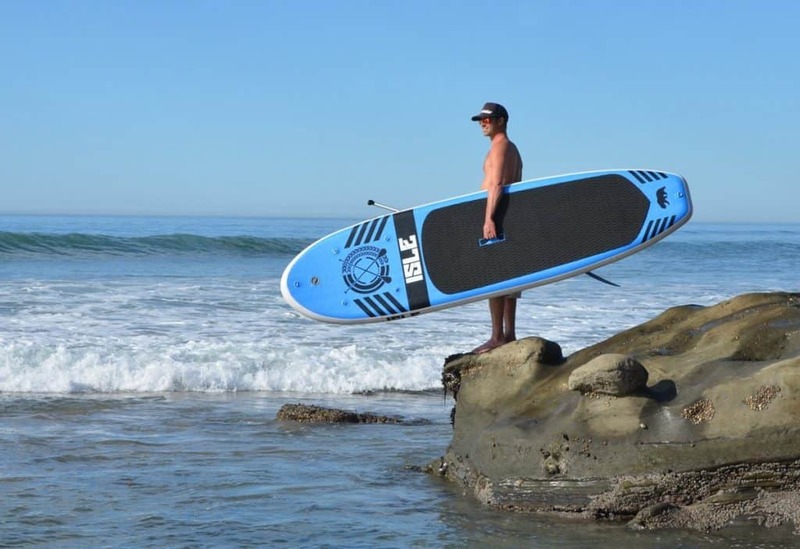 Surf SUPS are ideal for advanced paddlers and require maximum stability as it’s easy to fall off the paddle board. This kind of board is big and has a paddle to help you balance on water. Touring SUPS are perfect for high-intensity water workouts. The design allows you to paddle for extended distances and stable enough in the different water surfaces. Race SUPS are used for flat water races in oceans. They pose a challenge for beginners but perfect for advanced racers. The size that best suits you will depend on your previous experience and your weight. A wide, long and thick paddle board has a higher volume. A large volume increases stability on water as you paddle. Beginners need a paddleboard with more capacity as they learn and advance to fewer volume ones when they are confident enough. Once you settle on the size and type of SUP you prefer, decide between inflatable and epoxy Paddleboards. Your choice of paddleboards will depend on how much you are willing to spend and your available storage space. What is the difference? Operation – Epoxy boards have a higher performance compared to inflatables. 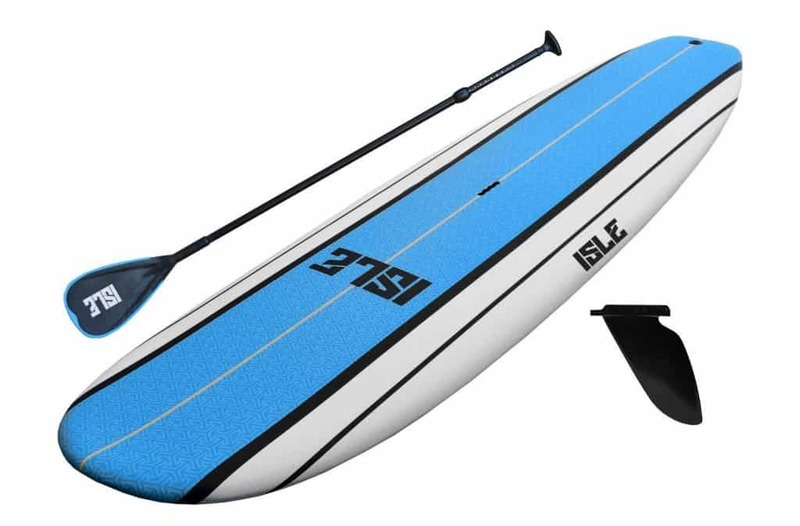 Inflatable paddleboards are great for beginners since they work well in any condition. For speed and increased movement, epoxy boards are preferable. Transportation – Inflatables are easy to transport compared to epoxy boards. You can roll them up and fit your backpack. If using epoxy boards, you may need a vehicle with enough space to transport. Storage – If you don’t have enough space, inflatables are perfect since you can deflate and store in any open space. Epoxy boards require relatively sufficient space to store. You can utilize extra garage space or your balcony if a little more space is available. It is advisable to store your paddle board indoors to keep off the effects of extreme weather conditions. Direct sunlight destroys the quality of the boards. Epoxy boards should be maintained in board bags when not in use to avoid possible scratches and dents. Price is certainly the biggest concern for most people. Buy a board that gives you value for your money. Take advantage of shipping options to save money. 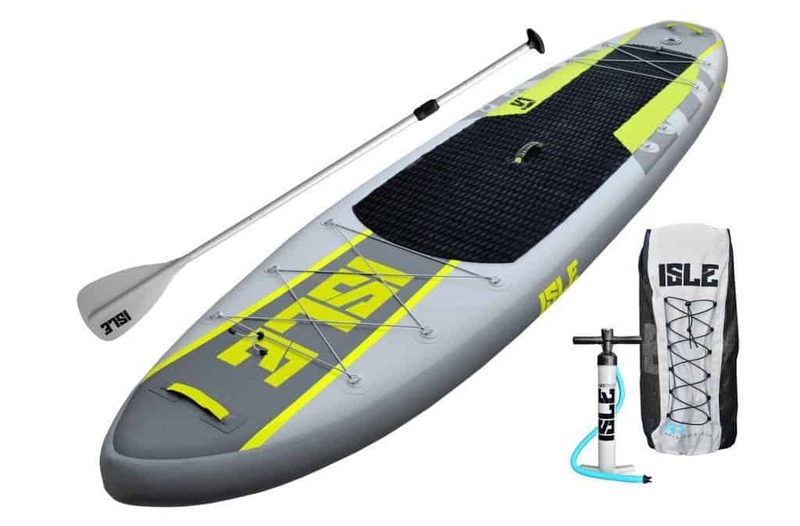 This inflatable paddle board is an excellent choice for adventure. It includes three pieces of adjustable aluminum paddles, a backpack and a high-pressure pump. It is light in weight, durable and easy to pack and carry. It is good for adventurous people on the water. It offers maximum stability as you surf. The epoxy paddleboard is light in weight and durable. The all round shape suits beginners on flat water and rough conditions. It has a grooved handle to ease transportation. It also has an adjustable paddle to suit your preference. 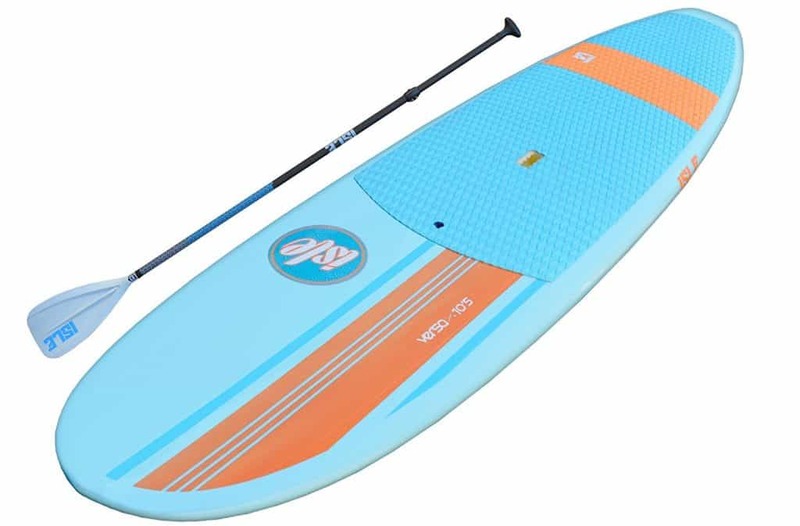 This paddle board is ideal for sports and fishing activities. It comes with a high-pressure hand pump, an inflatable backpack and three pieces of adjustable paddles. It is strong enough to hold maximum weight ensuring stability at the same time. The paddleboard is made of sturdy material to withstand hard surfaces and friction. The board is suitable for rivers and small wave surfing. It is compact and light in weight for easy transportation. It has three pieces of adjustable paddles, a backpack, and a high-pressure hand pump. The military grade outer skin assures durability and strength. The epoxy paddle board has a soft top for maximum comfort as you paddle. Its construction guarantees durability and rigidity for surfing. It has a front bungee for easy access to your goods. The long paddle has a good grip, and you can easily adjust to your preference. Getting the perfect stand up paddle board requires you to consider some factors. When buying one, consider the above points to determine the suitable one for you. The best paddle board should be easy to use, last long and take you through an exciting experience. Isle is a popular company for a reason. They sell a lot of paddle boards in the market today and offer a wide variety to chose from. They are durable boards that are reasonably priced and readily available. I personally enjoy the design and looks of their boards. If you are looking for a mid range performance board, these should be just what you are looking for.